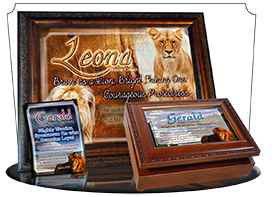 Music Boxes with Custom Bible Verses beside Lions, Kittens, Doves and other animals. 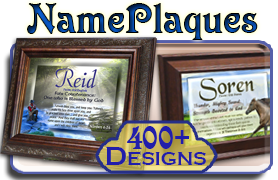 Check out our framed scripture art, personalizable with your favorite Bible verse! Verse Music BoxesPick Music & Box Style! Verse Coffee MugsEnergize and Encourage! 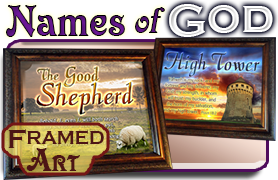 Stories about the Titles of Godand the Biblical History behind them. The ONE Name of the One True GodHe knows your name. Discover His. 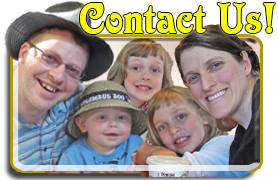 Order FAQprices, discounts, answers, etc. Bible Verse Listideas for your Bible Verse Gift! So many insights and lessons can be learned by watching God's amazing creatures. And so many of these Music Box backgrounds are the perfect choice for your favorite Bible verse! Order with your own verse, or browse some of our favorites in the samples! 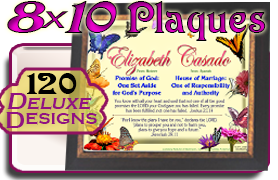 For exact specifications, measurements and song choices for our custom, Bible verse music boxes, click here. SG-MB-AN06 a Beautiful 3x7x9 Music Box, with your favorite custom Bible Verse. Order a custom Bible verse music box with this peaceful scene of a shepherd walking with his sheep. If you look closely, you can see that the shepherd carries a young lamb as they walk toward the heavenly light. 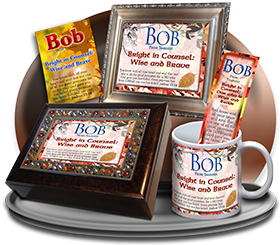 This Scripture Box makes a comforting memorial gift to honor someone who now walks with The Good Shepherd. 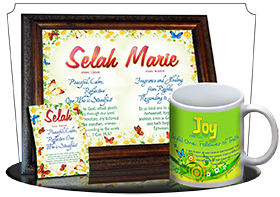 We chose Psalm 23:4,6 for this sample, but you can specify any encouraging Bible verse and we'll custom-make your personalized music box. You can add a personal message inside the lid of the music box, to comfort and encourage every time the lid is lifted and the music plays. 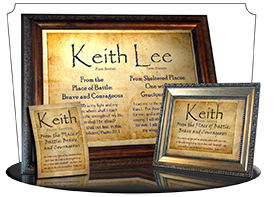 Choose from several traditional hymns for the music, and consider adding a pocket card or bookmark with the same comforting verse. 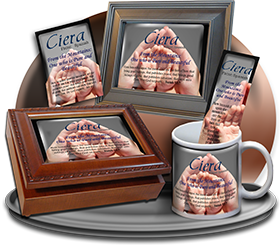 The greeting card can also be added with space inside for you to write a note or letter of encouragement. SG-MB-AN34 a Beautiful 3x7x9 Music Box, with your favorite custom Bible Verse. A beautiful garden scene graces the top of this custom Scripture music box. Personalize it with your favorite verse, and choose the music that plays when the lid is opened. SG-MB-BF13 a Beautiful 3x7x9 Music Box, with your favorite custom Bible Verse. 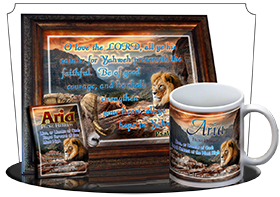 A regal lion and watchful ram diligently protect your favorite Bible verse on this custom, personalized music box. 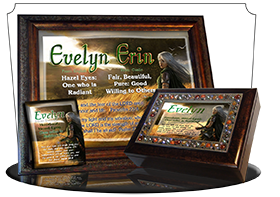 Choose your own music and box design, and specify a custom verse with the form! Or order it "as shown" to receive it with one of my favorite verses, shown in the sample. SG-MB-AN09 a Beautiful 3x7x9 Music Box, with your favorite custom Bible Verse. SG-MB-AN14 a Beautiful 3x7x9 Music Box, with your favorite custom Bible Verse. Order a custom Bible verse on this beautiful music box. Choose any music box style with the order form, and grace this regal, watchful ram with the truth of God's word. SG-MB-AN10 a Beautiful 3x7x9 Music Box, with your favorite custom Bible Verse. 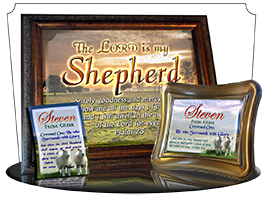 Share the comfort of the Good Shepherd with a custom Bible verse music box. Choose a popular hymn to play whenever the lid opens, and you can add a personal message inside the lid. SG-MB-AN62 a Beautiful 3x7x9 Music Box, with your favorite custom Bible Verse. Let the comfort and reassurance of Psalm 23 replay in your mind as the a sweet hymn plays from this personalized music box. Or you can choose your own custom Bible verse for this beautiful scene of two fuzzy lambs near their family flock in the background. SG-MB-AN03 a Beautiful 3x7x9 Music Box, with your favorite custom Bible Verse. White hawks soar through blue skies on this custom scripture verse music box. 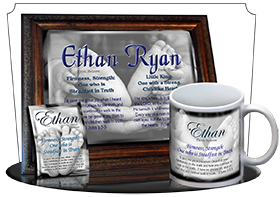 Personalize the music box with your choice of Bible verse, and your choice of music! Enter "as shown" to order it with 1 Corinthians 16:13-14, as it is shown on the sample. SG-MB-AN52 a Beautiful 3x7x9 Music Box, with your favorite custom Bible Verse. This dashing image of a golden eagle flying through the air looks beautiful in the ornate-style music box, or the amber-jeweled music box. Customize your music box with any Bible verse! SG-MB-AN47 a Beautiful 3x7x9 Music Box, with your favorite custom Bible Verse. Isaiah 40:31 is the most popular Bible verse about Eagles, which is why we chose it for the sample of this custom Bible verse music box. Choose your box style, choose any extras to add, like a personal message inside the lid, and then enter the verse reference and translation for your choice of scripture. And don't forget! You can choose your own music for the music box. I recommend "On Eagle's Wings." SG-MB-AN38 a Beautiful 3x7x9 Music Box, with your favorite custom Bible Verse. Open your music box to the tune of "On Eagle's Wings" and read your favorite inspirational Bible verse on the lid! The top of this custom music box is decorated with soaring bald eagles in flight, guarding over your choice of encouraging Bible verses! Just enter the reference and translation into the form (e.g. "John 3:16, NIV"), or enter "as shown" to order the custom music box with Psalm 91:1-2. The matching Scripture Pocket Card shows the same verse, with a soaring Eagle over a green backdrop. SG-MB-AN20 a Beautiful 3x7x9 Music Box, with your favorite custom Bible Verse. SG-MB-AN15 a Beautiful 3x7x9 Music Box, with your favorite custom Bible Verse. They who wait upon Yahweh shall renew their strength. They will mount up with wings as eagles! Choose your own box style and music! I recommend "On Eagle's Wings!" Share the encouragement of this verse --or any encouraging Bible verse-- on this custom music box. Or enter "as shown" to order it just like it's shown in the picture! SG-MB-AN24 a Beautiful 3x7x9 Music Box, with your favorite custom Bible Verse. Choose your own Bible verse on this custom music box! Playful brown horses with white stockings leap and frolic in the sunny fields, bringing a splash of color with an encouraging tune every time the custom music box is opened. SG-MB-AN42 a Beautiful 3x7x9 Music Box, with your favorite custom Bible Verse. Grace the top of this music box with a white horse and your favorite Bible verse! Specify any encouraging Bible verse in the form with the reference and translation (e.g. "John 3:16, NIV") The white horse stands beside the Bible verse shown in golden 3-D lettering above a field of dandelion flowers. SG-MB-AN26 a Beautiful 3x7x9 Music Box, with your favorite custom Bible Verse. 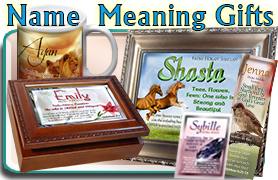 This herd of brown horses glides into the sunlight beside your favorite Bible verse on this custom music box. Set your own musical tune, choose your box style, and let us know what Bible verse you'd like with these beautiful brown horses? 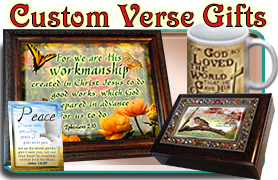 To order it with the verse that's shown, enter "as shown" in the custom order form. 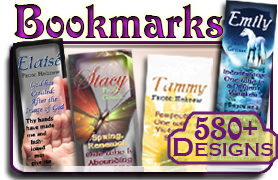 The matching Scripture Bookmark shows one brown horse with a white star on his head in a sunlit green field. 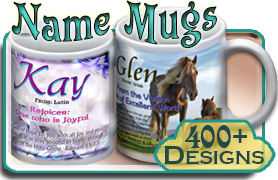 And the adorable Bible verse Pocket Card shows your customized verse with a "blond" horse nuzzling against another brown horse. SG-MB-AN31 a Beautiful 3x7x9 Music Box, with your favorite custom Bible Verse. Customize this music box with your favorite Bible verse. A simple sparrow perches on a branch in the summer, ready to inspire, encourage, and comfort with the promises of God. Add a personal message inside the lid that will be read every time the music box is opened and the music plays. Speaking of which, choose your own music! I hope to add "His Eye is on the Sparrow" with our next order of music boxes! 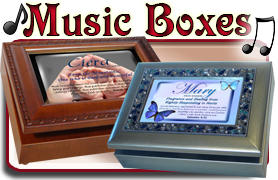 SG-MB-AN63 a Beautiful 3x7x9 Music Box, with your favorite custom Bible Verse.